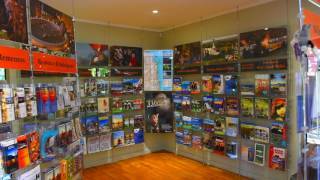 The Ipswich Visitor Information Centre is an award winning tourist centre and is home to passionate volunteers who have over 950 years combined experience living and working in Ipswich. They know Ipswich better than anyone and are available seven days a week to assist visitors to our region. The centre provides free booking services for tours and accommodation, free maps, brochures and WIFI access. It also stocks a wonderful selection of local and regional art, hand-made gifts, produce and products. The centre can also assist you with your event ticketing needs and are agents for Ticketek and Ticketmaster. Offering ease of parking for cars, buses and caravans; the centre is the ideal rest stop for light café refreshments, accessible friendly, with restrooms and shower for the bonafide visitor.